The final hours of the Catober Kickstarter are here! 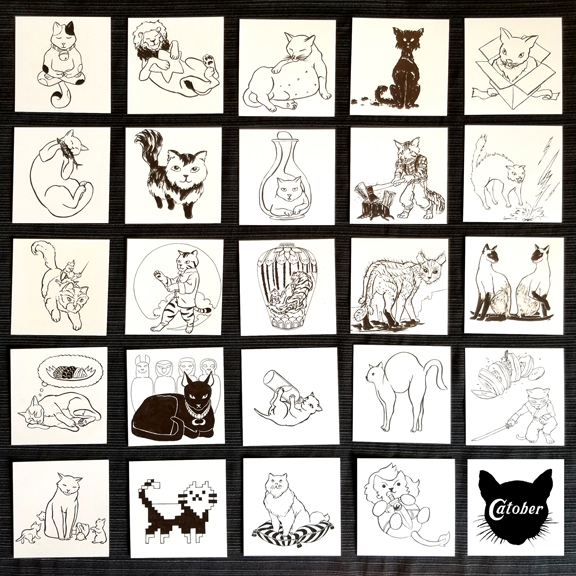 Catober is the collection of feline inspired drawings prompted by the Inktober official 2018 list. The booklet is fully funded and there’s still time to be among the first to receive a copy plus other perks, like original Catober drawings. The campaign closes November 26th, Monday, at 7 pm PST. Thanks for your support!